Developing a strong relationship with your bank provides tremendous benefits including offering necessary funding, preferential rates, and better terms. 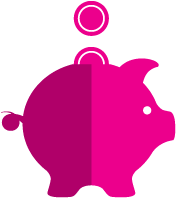 Your bank can provide expert financial advice and help you to find solutions to financial challenges. It can also help you to grow your business and reach your financial objectives. Since your bank works with a wide variety of businesses, it can also be an excellent source of prospective vendors, partners, and customers for your business. As banks deal with SMEs in every industry, they are also an excellent source of information and advice about marketing, expansion, fraud prevention, and e-commerce. Some banks take the initiative and offer their customers business ideas and opportunities. So if you don’t have a strong relationship with your bank, you’re missing out in many ways that could help your business to prosper. Very few business owners appreciate the value of having a strong relationship with their bank. Having a borrowing history and a solid relationship with your bank will make it easier for you to get credit. There’s more to it than regular phone calls, however. You also need to demonstrate that you have a coherent strategy and follow it, says Black. That will help to establish your credibility too. Let your banker know about regulatory changes that could have an impact on your company’s growth opportunities. For that to happen, you need to establish regular communication with your bank manager. Share your company’s long-term strategy with the bank. Your bank may be able to provide additional resources to help you achieve your goals. Schedule regular meetings with your bank throughout the year so that he or she gets an accurate picture of your business. It will also make it more likely the bank will respond faster when needs or opportunities occur. 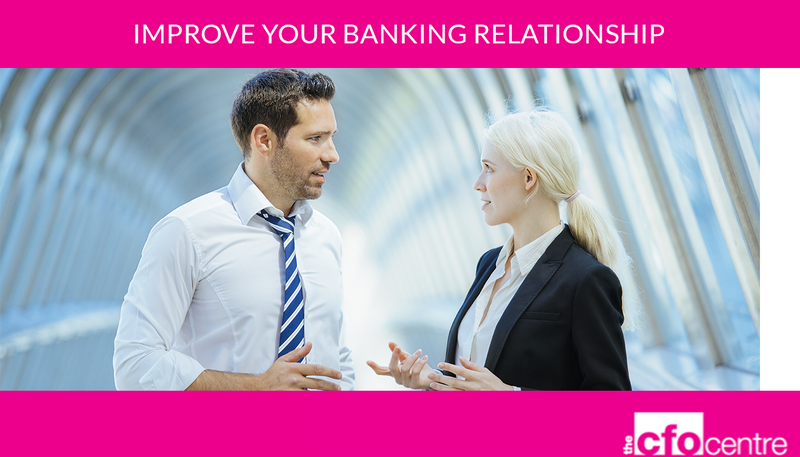 The stronger your relationship is with your bank, the better they will be able to understand your business when you come to them for advice and solutions to help it grow. Banks know things don’t always go as planned. They want to be comfortable that they understand your ability to deal with these situations and make good decisions to improve, building a track record with them based on trust, sharing information and debate. It’s astonishing how many business owners don’t invest in building a track record and strong relationship with their bank. At a recent event focusing on how to build a world-class finance function, CFO Centre Group CEO, Sara Daw, found only four out of 50 business owners who attended considered their bank was a strategic partner to their business. This is far too low. At The CFO Centre, we make building a strong value-adding relationship with your bank a priority. 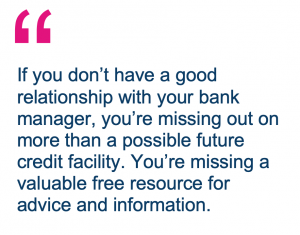 If you don’t have a good relationship with your bank manager, you’re missing out on more than a possible future credit facility. You’re missing a valuable free resource for advice and information. 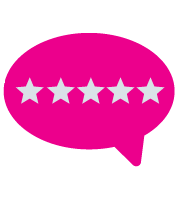 Your bank can provide a regular evaluation of your business and financial strategy, as well as ideas and solutions to overcome many challenges you might face. Since banks deal with SMEs in every industry, they are also an excellent source of information and advice about marketing, expansion, fraud prevention, and e-commerce. They can walk you through your balance sheet and explain how they perceive your finances and business. They can also learn more about where and when you’re likely to need the money to grow the business. 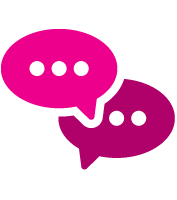 Giving information and asking for advice helps to build trust between you and your bank manager. Gradually, you learn to trust their advice and they begin to trust in your ability to repay your loans. Banks hate surprises so if your business is encountering problems, it’s important to let your bank manager know as soon as possible. 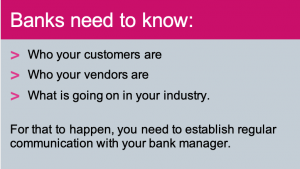 If you know that you’re likely to miss payments or be late in paying vendors, let your bank manager know in advance so they can assess the situation and provide you with options. This will also demonstrate to your bank manager that you can manage the business and also be trusted to inform the bank before the problem gets worse. Your bank manager might even be able to extend your line of credit or temporarily waive your fees. 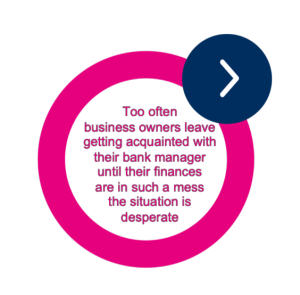 Many business owners are uncomfortable speaking with their bank manager. Owners and CEOs often do not know how to communicate their business strategy and needs to the bank and do not know what information the bank needs to support their funding requests. This is where an experienced CFO can be an essential part of your team; someone who understands how banks make their decisions and can, therefore, position your application for a greater chance of success. Develop a relationship with key personnel at your bank. Share information about your business with the bank and keep the bank fully updated. The more trust that can be built the more the bank will be willing to help. Provide the bank with a credible business plan which takes into account previous track record including debt and cash flow history. 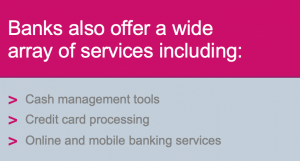 Provide you with independent advice on bank products and their suitability. Negotiate the best deal on bank facilities. Provide access to senior contacts in the bank where required. Introduce new banking options if needed and negotiate terms. Your part-time CFO will work hard to forge a strong relationship with your bank so that when you need access to any of the bank’s services your request is treated as a priority. What’s more, your part-time CFO has many years of banking experience so can advise you on the best banking deals. 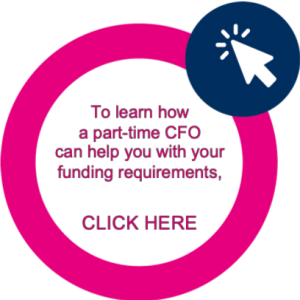 Your part-time CFO knows where to go for supplementary funding to complement your bank finance (if necessary) and how to benchmark funding deals for your peace of mind. CFOs can skillfully communicate your needs in a way that appeals to bank managers. That helps to add further credibility to your credit application. Your bank can play a significant role in your company’s future growth, both in terms of providing necessary funding and strategic advice. That will only happen if you take the necessary time and energy to foster a relationship with your bank manager. The benefits of doing so, however, make it one of the best investments you’ll make. Thank you for a great year, 2018!